Shu Qi at the "Anniversary Exhibition Starway" during the 60th Cannes Film Festival. Shu Qi at the 58th annual Berlin Film Festival. Shu Qi at the premiere of "Confession of Pain." Shu Qi at the premiere of "The Transporter." Shu Qi at the Photocall promoting "Three Times" during the 58th International Cannes Film Festival. 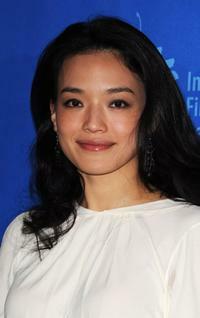 Shu Qi at the screening of "Three Times" during the 58th International Cannes Film Festival. 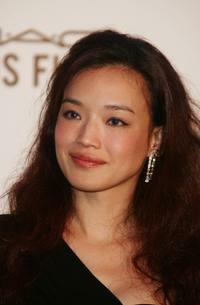 Shu Qi at the Cinema Against Aids 2007 in aid of amfAR. Shu Qi at the Ara Pacis for Valentino's Exhibition opening. Shu Qi at the photocall for the International Jury during the 58th Berlinale Film Festival. Shu Qi at the 27th Hong Kong Film Awards. Shu Qi at the Asian Film Awards 2008. Shu Qi at the 26th Hong Kong Film Awards. Shu Qi at the 27th Hong Kong Film Awards (HKFA). Shu Qi at the premiere of "My Blueberry Nights" during the 60th International Cannes Film Festival Opening Ceremony. Shu Qi at the premiere of "Sparrow" during the 58th Berlinale Film Festival. Shu Qi at the amfAR's (American Foundation for AIDS Research) "Cinema Against AIDS 2007" annual event during the 60th International Cannes Film Festival. Shu Qi at the premiere of "Elegy" during the 58th Berlinale Film Festival. Shu Qi at the premiere of "My Blueberry Nights" during the 60th International Cannes Film Festival Opening Night.